I dedicate this work to my parents with special gratitude, for their efforts and prayers, to support me. I also dedicate this work to my family, friends, siblings and my children who encouraged me during this research paper. I owe a great deal of gratitude to my supervisor and Head of the English Department Dr. Akmal Basharat, who has been generous with his expertise, precious time and support in dissertation of this research paper. I would like to express my gratitude to Dr.Kamal-ud-Din, Dr.Naseem Riaz, Dr. Azhar Mehmood, Professor Liyaqat and Professor Mubbara for encouragement, moral support and guidance they provided me, during M.Phil study in Lahore Leads University. 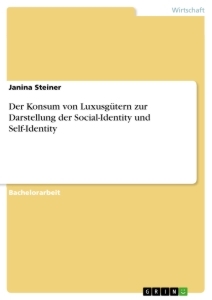 This research paper articulates the aspects behind self-identity crisis in workers, a big cause of low financial status. Purpose of this study is also to discover the effects of negative perception upon them as positive perception plays a significant role in building strong personality characteristics. Developing positive sense of self is an essential part of every individual becoming a mature person as it develops strong character. Workers are born in poverty, live like animals and don’t have basic needs of life. They perceive and believe that generation to generation they belong to low class, it is in fate and not possible to bring change in their lives. Whole life they remain unable to think positively and change progressively. Though they do hard work but most of them remain failure in improving poor financial status. In anger sometimes they blame fate while brood and complain against close people and society, on another time. Question is what the causes behind their self-identity crisis are and who is responsible of their deprivation and alienation. Purpose of the study is to know whether, wholly and solely, workers are responsible of their identity crisis or close people and society play significant role on the basis of The Hairy Ape by Eugene O’Neil. It is also to explore the causes which force central character to follow instincts and also the aspects of weak evaluation of his characterization, as a crew member in the play. It needs to know what are the reasons behind constant poverty generation to generation despite they do hard work but they can’t change and progress. Besides they are not given due rights and due to poor financial status they are not considered respectable citizens in society. In literature review authors have examined this topic yet not satisfactory while this research paper discusses this topic differently. Authors have discussed on the importance of identity for success but this study discovers the aspects behind self-identity crisis. There are some new points in this study as significance of ape, role of past and comparison between ape and human in this regard. For further investigation authors can investigate this topic in middle class, upper class and in different types of environments to change and to progress. To answer the study question in authentic and scientific way theory of self-identity by Henri Tajfel (1919-1982) is to apply for description, evaluation and analysis. Theory of self-identity can be defined differently but can’t be without social groups to whom a person belongs to. 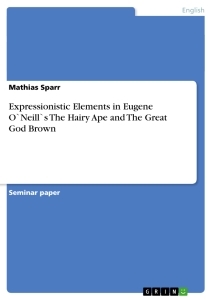 Theory is applied to examine the central character and his life in light of theoretical framework in The Hairy Ape by Eugene O’Neil (1888-1953).The methodological approach, used in this study, is critical, comparative, interdisciplinary and analytical. The Hairy Ape is the main source of critical analysis and comparative inquiry while some other plays are included to support the research question of this study. This section states briefly, what and how, author is going to attempt in this study. Purpose is to know the actual causes behind constant poverty in workers because strongly they believe that poverty is in fate and can’t be changed. Besides frequent perception of low feelings spoils mental capabilities and in result identity crisis occurs. It includes statement of the problem, objectives of the study, significance of the study, hypothesis, operational definition, conceptional framework and limitations of the study besides methodology, literature review and about what is new in this research paper. Qualitative methodology is applied in light of conceptual frame work, relate to self- identity theory by Henri Tajfel (1919-1982), a social psychologist. His greatest contribution to psychology is self- identity theory which is a person’s sense of who he is. Henri Tajfel (1979) proposes that groups as social class, family, football team etc, to which people belong to, are an important source of pride and self-esteem as groups give a sense of self-identity. In literature review, topic relate to this study yet has not been discussed satisfied. In literature review Harish Mahuvakar emphasizes on importance of identity in success while Rockonujjaman Rockon states that lack of identity causes troubles in modern man’s life. Miss Rachana argues almost all characters are unhappy with the identity they have in the hairy ape. Virginia Floyd insists on faith and writes that complete self-awareness is not possible to find out. Besides, Muhammad Yahiya Cheema explains Yank’s mirror stage and tragic end in light of “lacanian” theory. There are some new points in this study as significance of ape, role of past and comparison between ape and human in this regard. Aim of this study is to investigate causes behind self-identity crisis in workers , as positive sense of self-identity develops strong characterization . General objectives are to discover the reasons behind self-identity crisis in workers which make them fail in life. Specific objectives are to bring changes and improvement in life. To believe in positive or negative perceptions can form or deform life. Through focus on positive thinking man can get control over mind and in result control over life. Social groups play significant role in building personality characteristics by conveying low or proud feelings. To absorb low feelings can destroy self-believe and chances to change and progress. What are the causes behind self-identity crisis in workers? Why do workers consider themselves inferior and unable to progress? How can workers develop inner strength? Yank, protagonist in the hairy ape, perceives negativity from close people and society. He feels insult on being called as “filthy beast” but later on he realizes that he is no more than an ape. In past he ran away from house due to the fear of being punished there and in present he leaves ship for the insult he has to face. In city he can’t adjust so he laughs at citizens. On exposing extremity in city he is locked up where he lives with prisoners. To take revenge he wants to join opponents of ship owners and plans to destroy steel companies. After getting humiliation from all phases and to protest he leaves for monkey house to join beasts. Central character, in the hairy ape, will be analyzed by applying self-identity theory, by Henri Tajfel (1919-1982), social psychologist. He emphasizes that it is a person’s belief about self what he perceives from social groups with whom he has group membership. He proposes that groups as society people, family, friends or close people to whom he is considered belong to are an important source of pride and self-esteem. Groups give a sense of social identity and a sense of belonging to enhance self-image. Self-belief, self-reliance, self-identity, self-worth, self-awareness or self-confidence are the terms to represent inner strength, to use in this study. 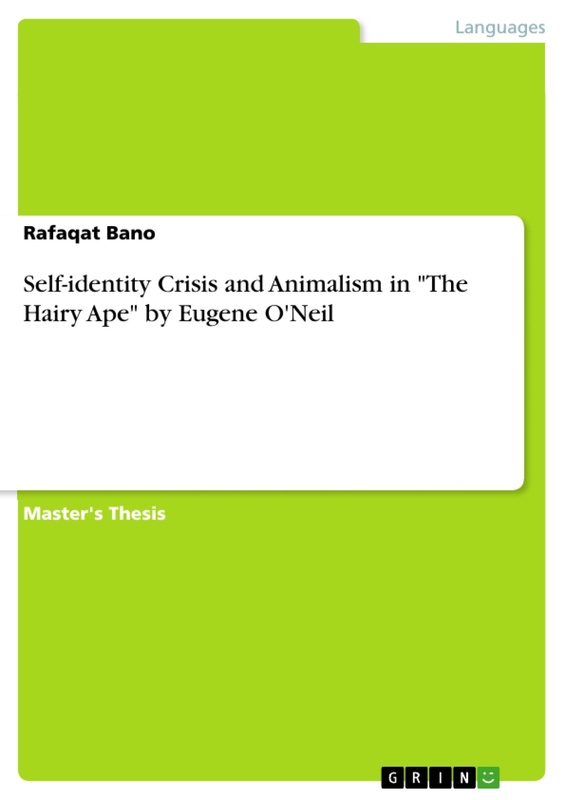 In The Hairy Ape, protagonist, Yank’s character will be observed and examined through the lens of self-identity theory by Henri Tajfel (1919-1982). It will be helpful to know that Yank himself is responsible for sufferings or social groups cause his tragic end. In this regard this study will disclose the causes behind Yank’s running from house, leaving job as a fire worker, arrival in city and prefer to monkey house. His expectations, extreme reactions, rigid behavior and blockhead will be explored by application of theory of self-identity for reliable answer of research question. As far as concerned Yank’s social groups, probably they are ship workers, church people, parents, citizens, prisoners, secretary etc. The study highlights the limitation in the selection of this research work. The principal focus for analysis and interpretation is O’Neil’s play The Hairy Ape while some other plays are included to compare and support the topic of this research work. Protagonists of A Long Day’s Journey into Night by Eugene O’Neil , The Zoo Story by Edward Albee and Death of the Salesman by Arthur Miller are included to compare and evaluate study aspects. Following is the brief description of the chapters of this study. This chapter exposes what and how the author is going to attempt this research paper. It includes statement of problem, objectives of study, significant of study, research question, hypothesis, operational definition of variables, conceptual framework, limitation and delimitation of the study. This chapter presents the accounts of previous studies relate to this study topic besides definition of self, its historical background, other related theories and Allama Dr. Muhammad Iqbal’s philosophy of “khudi”. It clarifies how it is going to address a gap, what is new in this study and definition of self-identity crisis is described. It comprises of a brief account of qualitative methodology and its importance in social issues. It also explains what will be the overall strategies in investigation, besides primary resources and secondary resources in this study. 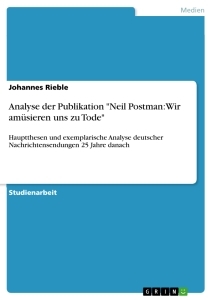 This chapter carries analysis and interpretation of selected data for findings of the study. There are certain aspects as personal crisis, social crisis and identity crisis which cause illusions, superiority complex, change values and system exploitation. Significance of ape, confrontation of animalism, elements of animalism, scene setting and structural organization are explained to get results. This is the last chapter of the study to discuss. Discussion includes the summary of findings in brief, to provide possible answer of the research question, by reliable sources. It also covers the conclusion drawn in light of data analysis and interpretation for recommendations. This section has described briefly what and how the author is going to attempt in exploring the research question of this study. It is included statement of the problem, objectives of the study, significance of the study, hypothesis, operational definition, conceptional framework and limitations with brief description of chapters. This section of the study describes what other authors have done in literature review on the topic, relate to this study. Besides it throws light on the definition of self-concept, historical background, related theories and Dr Muhammad Iqbal’s concept of khudi, particularly, for depressed, oppressed and distressed people. It also exposes how this study distinguishes from literature review and what is new in this study. Self is humanistic term that explains self as it is inner personality. Oxford dictionary defines “self” is a person's essential being that distinguishes him or her from others; particular nature and qualities which make them individual and unique. Self seems complex aspect of study as everyone has different personality traits, abilities and preferences. Even sometimes person himself can’t understand what is really going on in his mind. He may not be able to explain exactly what he thinks, why he thinks in that way, or why does he behave in this manner. Sense of self is the way a person thinks about his traits, beliefs, and purpose within the world. It is a truly dynamic and complicated concept because it covers both the inner and outer. A person is living and interacting with outside world all the time whether he is sitting in class or talking with a friend. He is doing things which help to define his role in this world. Why is he interested in a particular class? Why this person is considered his friend? These questions in mind always are chatting away trying to help make opinions and make decisions about life. When these two come together sense of self begins. One of the greatest aspects of self is that it is changing constatnly. For example to think back when he was five years old now he is not the same person. Perhaps in some ways he is; maybe he has the same hobbies or interests that have followed through life. However, he probably can't consider himself entirely the same. The reason is, as a person grows so does his sense of self. Sense of self develops through self-concept and refers to how someone thinks about him. Scholars agree that for a person to grow he needs an environment that provides him genuineness, being listened and understood. Without making social relationships, healthy self-concept can’t be developed. Historical perspectives give background of the topic as well as shed light on the importance of this study topic . mastering the self requires strength". The concept of self-identity has been around for thousands of years. It is mentioned such as in Yoga practice. Humanism is a term in psychology relating to an approach which studies the whole person and uniqueness of self or each individual. Psychologists, Carl Rogers and Abraham Maslow contributed great in popularizing idea of self-concept in the west. Carl Rogers (1902-1987) is therefore important because he re-directed psychology towards the study of the self. He defines theory of self-concept as consistent set of perceptions and beliefs that are influenced by the experiences. It is an internal model that uses self-assessments in order to define one's self. Rogers believes that there are three contributing components to understand self-concept. According to him,first of all, a person gets view of self-image about what a person has about himself. It is how a person sees himself as it is important to good psychological health. It includes the influences of body image or inner personality. At a simple level, he may perceive about him as a good or a bad person, beautiful or ugly, fat or smart etc. Self-image has an effect on how a person thinks, feels and behaves accordingly. After getting self-image he gets his self-worth, it is the way a person values to himself. Rogers believes such feelings develop in early childhood and are formed from the interaction of the child with the mother and father. As a child grows older, interactions with others will affect on him also. He needs to feel being valued and respected. Positive regard from others evaluates social interaction. It refers to the extent which a person likes, accepts or approves him. It always involves a degree of evaluation either positive or negative. In high self-esteem a person feels confidence on his abilities, skills and behaves optimistically. He doesn’t worry about what others think about him. If people admire him, he listens attentively, agrees with them and he develops positive self-image. While on the other hand in case a person feels low, lake of confidence and wants look like someone else, he experiences low self-esteem. Always worrying what others think about him and he begins to behave pessimistically. Ideal-self is what a person would like to be. It consists of goals and ambitions, it is dynamic and forever it is changing. Some theories are described to refer for evidence and to prove in authentic way that if human beings perceive humiliation; they feel low and develop weak self-belief. Abraham Maslow (1908-1970) is considered to be the father of “Humanistic Psychology”. He was an indefatigable optimist, maintaining an extremely positive view of people and valuing man’s goodness, dignity and intelligence. He is the most well-known for theory of the hierarchy of needs. He explains how human needs influence in the personality development. In his research, Maslow studied the personalities of people who he considered to be healthy, creative, and productive, including Albert Einstein, Eleanor Roosevelt, Thomas Jefferson, Abraham Lincoln, and others. He found that such people share similar characteristics, such as being open, creative, loving, spontaneous, compassionate, concerned for others, besides accepting of themselves. Theory of human hierarchy of needs, by Abraham Maslow, is conceptualized as a pyramid to represent how people move from one level of needs to another. He describes in this theory , first; basic needs of a child must be met , second; safety needs must be provided to him and third; child needs love to get proud feelings to know self-worth which leads him finally to self-actualization. Self-actualization theory was described by Carl Rogers (1902-1987) and Abraham Maslow (1908-1970) . According to them naturally personal growth, fulfillment and satisfaction are basic motives as individuals are internally directed and motivated to fulfill their human potential. Each person seeks to grow psychologically and continuously enhances himself. This has been captured by the term self-actualization which is about psychological growth, fulfillment and individual satisfaction. They say that all human beings have the innate or inborn capacity for self-actualization, which is unique; a desire to achieve highest potential. If they are consistent with self-image and ideal-self they can achieve their goals. In fact the closer self-image and ideal-self are to each other, the more consistent they are and the higher sense of self-worth would be. Psychologically healthy people move away from roles created by others' expectations, instead look within themselves for validation. They believe that people are inherently good and creative they become destructive only when a poor self-concept or external constraints override the valuing process. This approach emphasizes the personal worth of the individuals, centrality of human values and active nature of human beings. The approach is optimistic and focuses on noble human capacity to overcome hardships, pain and despair. According to them a person is as much like a tree which will not grow without sunlight and water. It will grow to its full potential if the conditions are right so people will flourish and reach their potential if environment is good enough. However unlike a flower the potential of human is unique. Self-categorization theory was developed by John Turner (1947-2011) and his colleagues. It categorizes a person individually and collectively living in society. Theory addresses the way an individual feels, thinks and acts because he has unique personality and differs from others. At the same time he is also a member of groups as in family, school, football team etc. Usually he uses words as “I” and “me” for his individual and “we” and “us” for the group he is included or he belongs to. Persons act in unified way as a crowd, a nation, a mob, an audience, and so on. They experience collective emotions and feelings and share similar attitudes, beliefs, and values but they have individual perceptions also. Self-categorization theory asserts that human beings are able to act as individual persons and being a part of social groups. A person acts as a unique personality in one context but displays collective similarities as a group member in another. Human beings are very good at varying the degree to which they act in terms of either individual differences or collective similarities. They define themselves in terms of social identities as well as personal identity. Under certain circumstances social identities become more important as people act more in collectively. Situational factors make social identity more salient and personal identity less salient. In groups they feel more attracted and more influenced as they are pursuing joint interests being motivated by their needs and goals . Self-identity theory or social-identity theory, by Henri Tajfel's (1919-1982), was one of the greatest contribution to psychology. It describes person’s sense of self on the bases of the group memberships to whom he is related or connected. He suggests the groups which people belong to are an important source of pride and self-esteem for them. Groups give a sense of social-identity and a sense of belonging of a person to the social world. In order to increase self-image man enhances the status of group to which he belongs to. Self-Identity is composed by permanent self-assessments, such as personality attributes, awareness of physical attributes, faith in knowledge, skills and abilities etc. A collection of beliefs also includes elements such as academic performance, gender roles, sexuality, and racial identity. The combination of personal emotions, thoughts and feelings make a person different from others and constitute individual identity. Without talk about great philosopher and poet of East, Allama Dr. Muhammad Iqbal’s concept of “khudi” or self, it would not be justified the topic of this study. Allama Muhammad Iqbal (1877–1938), is widely known a poet, philosopher as well as an academic, barrister and scholar in British India, whose poetry in Urdu, Arabic and Persian is considered to be among the greatest of the modern era. He is commonly referred to as Allama means "Scholar” while officially he is recognized as national poet in Pakistan. Iqbal is admired as a prominent poet by Pakistanis, Indians, Iranians, Bangladeshis, Sri Lankans and other, international scholars of literature. Iqbal is best known as an eminent poet and also highly acclaimed as Muslim philosophical thinker of modern times. His philosophy of self is that man is neither soul nor body but man is above both because he possesses wisdom and thinking power to discover him as well as discover the world. It is said by some philosophers as, “Know thy self and success shall be thine”, But Iqbal believes more as according to him, if man becomes emperor of himself he can lead the world to his own direction .According to him "Khudi" or “self” is a divine spark which is present in every human being only it needs to realize . However, man has to make a great journey of transformation to realize his divine spark which he calls "Khudi" or “self”. A similitude of this journey can be understood by the relationship of fragrance and seed. Every seed has the potential for fragrance within it. But to reach its fragrance the seed must go through all the different changes and stages. First it is breaking out of its shell, and then breaking the ground to come into the light, developing roots at the same time, and then fighting against the elements to develop leaves and flowers to scatter fragrance, give fruit and to provide shadow. He uses philosophy, poetry and law to interpret the concept of “self’ through lectures and messages to public. The central argument is that Iqbal’s man has a particle of divine light and it turns out if he understands it. His aim is to introduce man to his real self. Man is central to his philosophy as Allama deems man as the crown of the creation or the superior creature by Almighty God. He is well known for his concept that strong belief of self works, miraculously, in life. Allama's poetry combines a wide variety of thoughts and serves as the beacon light for diverse cross section of society; if they are people of political or apolitical, clergymen or statesmen, priests or freedom fighters, academicians or students, or peasants or landlords, his arguments give voice to their conscience. Of all the fine philosophical thoughts that Iqbal gave, “Khudi” or “self” has come to be known as the pride of his philosophy. In his point of view self is inseparable from soul and is the spirit of humanity. When it awakens, not only does it revolutionize the person but provides the human society with the true essence and meaning of man’s existence. Iqbal comprehends well that man has been created and blessed with self to discover world and being superior honor to humanity. In fact human has been equipped with self-respect as a protective shield against all oppressing powers that is his message to students, men, and women and to all. Allama gives importance to self-awareness particularly for oppressed people. He insists that man will be being humiliated, insulted and abused internally and externally until and unless he gets awareness. He must learn from the causes of decline and must work honestly and dynamically in social thought-process to be successful in life. To believe others and reject to self is a big cause of failure and leaves a person good for nothing. Iqbal comprehends well that Almighty God has created man and blessed him with “self” so that he is fit for the role of being His representative in world. Iqbal’s self-awareness is humanity and dignity. If he denies him he will be humiliated on every door step. Self is power, light and hope in bad circumstances. His poetry conveys the message of hope and light to common people but also to all people wherever they are. He continues to shine and grant emotional strength against the challenges of changing and developing world. Iqbal’s poetry on self-respect and high moral standards carries deep in significant meanings in it. The theme of self has been elaborated by Iqbal in many of his verses; as it is presented as the attainment of highest moral standards. He advises to raise their level of morality and virtues. He goes a step forward through actions. People should not submit themselves to fate and circumstances; they are above the fate if they are true to their faith and belief. Before literature review it requires to explain the term “Self-identity Crisis” for understanding the topic of this research work. Self-identity crises is a feeling of unhappiness and confusion caused by not being sure about what type of a person he really is and what the true purpose of his life is. He does not know what the status of his life is and where he belongs to. Identity also means the belonging status and it is inner identity; when a person feels doubt in saying to whom or where he belongs to, he experiences identity crises. The quest for identity is basic in human beings and it innates or by birth presents in everyone. It is for evaluation of personal value system and it has been an archetypal and universal motif in literature. It includes quest for new roots as man seeks an anchor, substance and bedrock to stand. The purpose behind all quests is to attain personal view of life and world which could make existence meaningful and give a sense of belonging. Literature embodies the process, subsequent crisis of self, its quest and subsequent discoveries. For identity is no longer confined to the individual it can characterize a group, an institution, a class, a profession or even a nation. An individual's sense of identity is neither completely conscious nor unconscious. Although at times it appears to be exclusively the one or the other. At some places identity is referred to a conscious sense of individual, at others to an unconscious striving for community yet other places as a sense of solidarity with a group's ideals. Unconditional positive regard is where parents accept and love the person for what he or she is. Positive regard is not withdrawn if the person does something wrong or makes a mistake. A person's self-concept may change with time as re-assessment occurs, which in extreme cases can lead to identity crises. Object of literature review is to see other researchers how they explored the topic relate to this study, in their research articles. The Hairy Ape is one of the full length plays of Eugene O’Neil (1888-1953) where he focused different sides of the life of people including upper and lower class. Among them most remarkable theme is self-identity crises. There are many related research works based on this particular topic in different times. Some of them have been included for literature review to know views and reviews of other researchers on topic relate to this study. Miss Rachana who is guest faculty in Budelkhand University conducted her research article titled as Identity crisis in Eugene O’Neil’s Hairy Ape. She describes difference between old tragedy and modern tragedy. According to her role of fate has been an important element of drama traditionally as drama is considered incomplete without it. She compares modern drama with Classical and Elizabethan drama. She concludes that before protagonist had to struggle with gods and fate but now he has to struggle with his past and present as he repents on his past and broods over present. She considers Yank’s violence is more psychological than physical in the play. Every person wishes a place where he is valued and honored. She argues that both main characters, Mildred and Yank, are not happy with the identity they have actually. 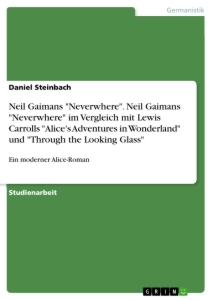 According to her almost all characters are not satisfied with life completely fictional or nonfictional .Same way literary characters are not happy with the identity they have or later on they intend to gain the identity they like to be. 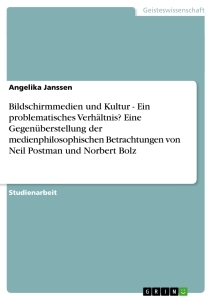 In other words Yank’s problems develop due to problems in mind. In the play all characters, as Yank, Mildred, Paddy and Long are not satisfied with the present identity they have. Mildred bemoans her predicament and says that industrialism has recklessly thrown her into the class as the hard working stokers were thrown into another. Long is unhappy with the work situation. He protests that they are not born by driven into the class they are in.To convince he gives reference from religion and law that workers have equal rights. Almost all characters of all dramas have to face identity crisis in life as they don’t think they are fit in any situation. She refers some other plays as Elmer Rice’s The adding machine (1928), Arthur Miller’s The Death of a salesman (1949), EdwradElbee’s The zoo story (1960), Sam Sheppard’s The operation Sedewinder (1970) and DavldMamet’s Glengary Glen Ross (1984). Almost all characters of mentioned plays have to face troubles in lives even those who belong to rich class. A time comes when they are unsatisfied with the circumstances they have. Literary characters are representing people in real life. All people in real world and all char acters in fiction face identity crisis soon or later in life. It doesn’t matter to which class they belong but people belong to every class have to face identity crises in a way or some other way. A time comes when characters complaint against the identity they have and wish what they want to be in actual. For Yank human world is hell for him which never allows any sense of identity to him. Same way Mildred wants to undo her identity she is inherited and was given by her elders. According to Rachana scene five presents an accentuation of Yank’s tragic conflict and the problem of the fluctuating self-identity. Yank thinks people on the upper deck; they don’t belong to the stokehole whereas stokers belong to the workers. They can’t do the work that is required there for having belongingness to ship while workers can do it. He rejects Long’s Marxist division into the exploiters and the exploited or alienators and the alienated. Yank has a sense of belonging to the ship as ship is home for him and for other it is a hell. Long is sarcastic about belonging of upper class to the ship and Paddy joins Long’s sarcasm. Long would say the ship belongs to the capitalist class, Paddy would say the steaming ship is alienate to the stokers and itself is alienated from the sea. Mildred proves that she is a person whatever her aspirations would be; she belongs to her class who can’t interact with the poor and the ugly. There is a vast difference between her thinking and activities than thinking and activities by the bourgeois. Class distinction a big cause of workers problems as O’Neil presents a specific socio-economic situation in the play in an authentic portrayal of the 1920’s in America. There is a class struggle man has been alienating himself from others and also alienating himself from his own being. Key terms as naturalism, expressionism and escapism are used to compare characteristics of modern tragedy with tragedy in classical drama and Elizabethan drama based on man’s struggle with gods and fate while in modern tragedy man struggles with past and present for getting his identity in broad meaning of identity crises. There is determinism of human instincts attitudes or the forces in the objective situation beyond human control. They are forced to identities other than the one’ they seek and cherish. Mildred does neither any good to her nor to poor, then it is not possible for Yank to belong to animal. Those to whom she was sympathies as she already made them poorer. Gorilla does not trust on man while man is not trusted to his own world. Final outcome of stage directions supports by title of the play. A dramatic contrast between wild animals that are trapped and caged and the explosive energy that is imprisoned and compressed. Scene setting is according to action in the play. Yank’s violence is more psychological than physical and Yank joins I.W.W office in traversing from totally positive to negative identity. Human identity is psychological essential social or economic while Mildred has given him the identity as an ape in the play. Muhammad Yahiya Cheema from University of Punjab Lahore conducted his research article titled as The Intruding Gaze: A Lacanian Reading of O’Neil’s The Hairy Ape. By applying Lacanian’s mirror stage and Freudian’s psychoanalysis theories he describes that Yank’s struggle to find his identity in the broader social construct comes final when he accepts the image, identifying himself with an encaged ape, a visual representation of the very image on the stage. Humans are not naturally born into reality and to act as a normal person. They interact with other people who live in a space of social reality. In the hairy ape Yank, protagonist, confronts similar dilemma. His initial symbolic space which defines his primary looking-glass self is, eventually, shattered by the intruding gaze of Mildred. In Lacanian context, Yank’s mirror stage starts with the intruding gaze of Mildred and ends on the acceptance of the image which results in is death. He quotes in this respect that according to the socialists Charles Cooley’s theory, (1864-1929), the self-highlighted the ways in which an individual’s sense of self is derived from the perceptions of others as it is called looking glass self, just like the reflections in a mirror. Looking glass self has three components; the image of a person’s appearance on others, image of their judgment back to person , and self-feelings on perception, such as pride etc.Standing outside I.W.W office, Yank for the first time begins to realize that he does not belong to here and he enters the final form of the mirror stage. Last scene is the monologue of Yank, who gazes into the caged space of the ape and actually talks to himself. This acceptance of his belonging to gorillas marks the end of the mirror stage. His social rejection has made him alienation to his self. The point, however, is that it was not merely class struggle but his journey was a journey of the self, a journey of identification and belonging. Virginia Floyd a journalist published her Journal article tilted as The Search for Self in The Hairy Ape: An Exercise in Futility; depicts that it is important to know answers of the questions that what is the purpose of human being in world. Being disappointed by the class distinction and having no social status man has lost his belief in himself and in God and in result he has lost his belief on anything external and internal. He remains fail in personal matters and the issues relate the society and outer world. Life without faith is nothing except despair, failure and death and success is only possible due to faith and trust. O'Neill seems agree with Freud that complete self-awareness is impossible; man can never explore fully the deep recesses of the unconscious and fathom the secret storehouse of the source of rational decisions. The mind of man is a bottomless pit and it is not possible to know all whatever is hidden in unconscious mind. What O'Neill seems to be demonstrating in the play is that Yank remains engage in a search of belonging and struggle to find it but he fails. It examines not only the nature of man's role in society but the nature of being. Using the technical devices of expressionism, O'Neill moves his hero, Yank, through a series of rapidly changing scenes in his quest to belong, to find his place. Yet in his highly subjective treatment the dramatist never neglects to present the effects of dislocation and loss of faith on the human psyche. Yank makes his way to the zoo and gorilla's cage. It is twilight, that gray-light time between day and night, suspended precariously, even as he is between heaven and earth. He is not fully in light nor in darkness, swaying between right and wrong, belonging and non-belonging etc.